Besides being one of the most genuine guys in the industry, Joel Zimmerman is a true master of his craft. Say what you want about him saying controversial things (he hates DJ'ing as a craft) and speaking out unnecessarily to aggravate people, I think he's just an honest guy. When it comes to his music though, there is no arguing that everything he puts out is absolutely top class. This album shows a diverse range of sounds and even a non-EDM song with Imogen Heap, showcasing what this guy is really capable of. I might go as far as saying that this is his best album yet! I took the liberty of putting all the album tracks on one DL link for you guys, enjoy! 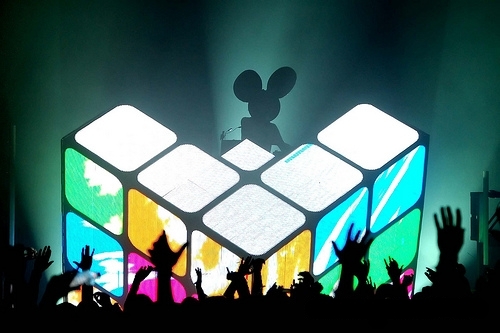 0 Respones to "ALBUM RELEASE: Deadmau5 'Insert Album Name Here'"